Blog Description : Random Food Trips with Close Friends. A blog of a foodie at heart that enjoys munching on good food more than anything else. The aim is to encapsulate the dining experiences and make it really simple for easy comprehension. I’m Eugene, a Computer Science graduate from the University of the East. I’m currently working at a Japanese Printing Company. When I get a chance, on my free time, I schedule food trips with friends. GOOD COMPANY + GOOD FOOD = AWESOME Combination. I’m a shameless meat lover and a firm believer that EVERYTHING is better with Bacon. What is the inspiration behind your blog and how long has it been around? I’ve been doing food trips on a regular basis, even before I started the blog. For the longest time I didn’t want to start blogging because I feared that no one would gain interest in my posts. But I love eating, and I’d like to share my dining experiences so I started the blog. My blog’s quite new, I only started last January, and I have tried Blogger and Wordpress (wordpress.com -free) but I now have a self-hosted wordpress.org site. Thanks to a kind writer that gained interest in my work. Scrumptious Lunch at Mesa Filipino Moderne, Greenbelt 5, It is my post about Mesa Filipino Moderne at Greenbelt 5. The lighting back then was great and it’s evident on the pictures, and I’m quite happy with the shots I got. Plus Mesa’s actually one of my favorite restaurants. Heftie Foodie is such a helpful site as it does make it easier to find a place to eat and what to order in a selected restaurant. Continue chasing those good meals and blogging about them. Cheers!!! This would be a good reference for searching good restaurants...If only I live in Manila. I also rely on pictures too, so I'm pretty sure this blog will be very helpful. :) keep it up! Ang kulit nga ng header at yung mga photos are perfect.picture pa lang,maeengganyo ka ng magutom. cook ka din ba eugene? Another yummy blog. Wow! I'm a fan of food bloggers, too! the photography is excellent as well. I like the way SIR EUGENE present his posts. A comsci on a food blog... how cool is that. you blog what you enjoy most... and food, who doesn't enjoy it... lol. Yahweh bless. This is a good blog on food. It's nice that you've been featured here. 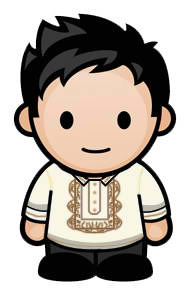 Thanks po ulit sa pag feature sa blog ko. 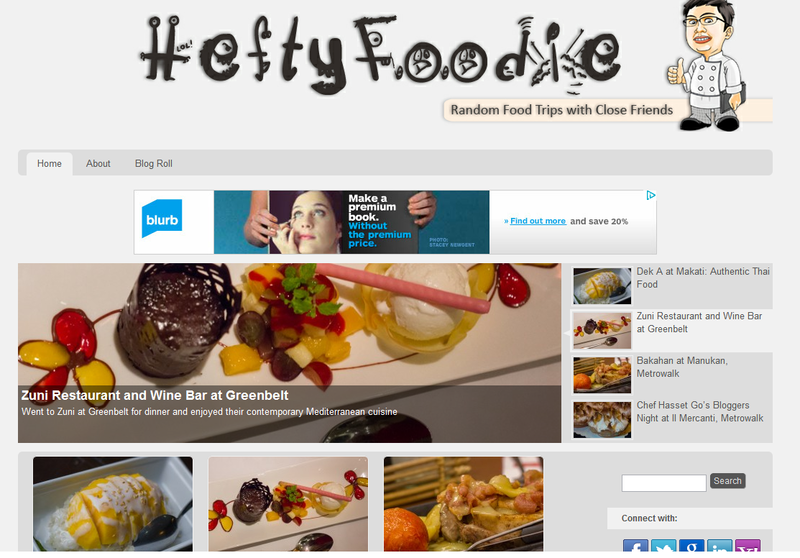 I really like the Hefty Foodie blog.. :) I've yet to meet the man behind it though.. ^^ To Eugene, congrats on your food blog and cheers to more food trips!